Key difference: Both sweatshirts and jackets are types of outerwear. 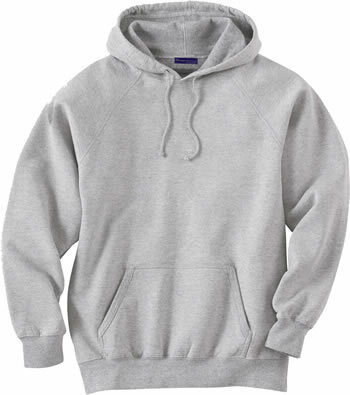 A sweatshirt is a type of sweater that is made out of a thick cotton jersey material that can be worn over the head. A jacket is characterized by an open front which can be closed via the use of buttons, hooks, or zippers. When the weather is a little chilly, people may grab an outerwear to put on so that they can stay a bit warm, however, what do they grab? While some may reach for a sweatshirt, others may search for a jacket. What is the difference between the two and why would someone prefer one over the other. Both, sweatshirts and jackets are types of outerwear, whose aim is to help keep the wearer warm. A sweatshirt is a type of sweater. The primary difference between a sweatshirt and a sweater is that a sweatshirt is primarily made up of think cotton, whereas a sweater is commonly made from wool. Though there may be exceptions to this, it is considered to be the general consensus. Like a sweater, it is usually a pullover, which means that it can be worn over the head like t-shirt. It also commonly has full sleeves; however, some types may be sleeveless. Unlike a sweater, it is not knitted from wool; instead it is stitched from a heavy cotton jersey fabric that is characteristic of sweatpants and sweatshirts. This material is warmer than traditional cotton, yet is breathable thus ensuring that the wearer does not overheat even when they are doing extraneous exercise, which make this the ideal material for use by athletes. In fact, sweatshirts and sweatpants were originally designed for sportswear, before they became popular comfort wear for the general public. A jacket, on the other hand, is primarily characterized to be similar to a coat. Like a coat, it is generally agreed to have an open front which can be closed via the use of buttons, hooks, or zippers. A jacket is not limited to any specific material; rather it can be made out of any material. In fact, many choose to style a regular button down shirt as a jacket. While, a traditional jacket does not have a hood, some modern fashionable jackets do, especially the ones that are intended to be worn for warmth. Due to its popularity, there are many different types of jackets. They can be made out nearly any type of material; with each material being suited for a specific type of jacket, for example: a sports jacket can be made out of corduroy, suede, denim, leather, and tweed, whereas a fashionable jack can be made out leather, denim, or even nylon. There is also such as thing as a sweatshirt jacket, which combines parts of a sweatshirt and a jacket. 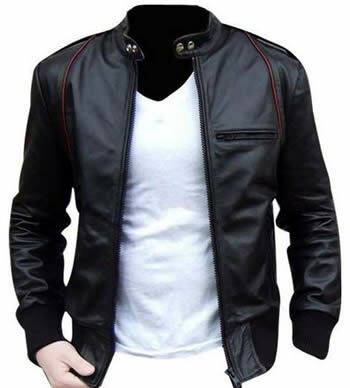 It is essentially a type of jacket that is made out of the same material as a sweatshirt, giving it the properties of both sweatshirts and jackets. A loose, warm sweater, typically made of cotton, worn when exercising or as leisurewear. Can be made from a variety of cloths such as cotton, polyester, synthetic, fleece, tweed, leather, denim, etc. May or may not have a hood. Hoods are more common. Hoods are not that common. Can be buttoned, hooked, or zippered in front.